And one last shot from the Smokies. 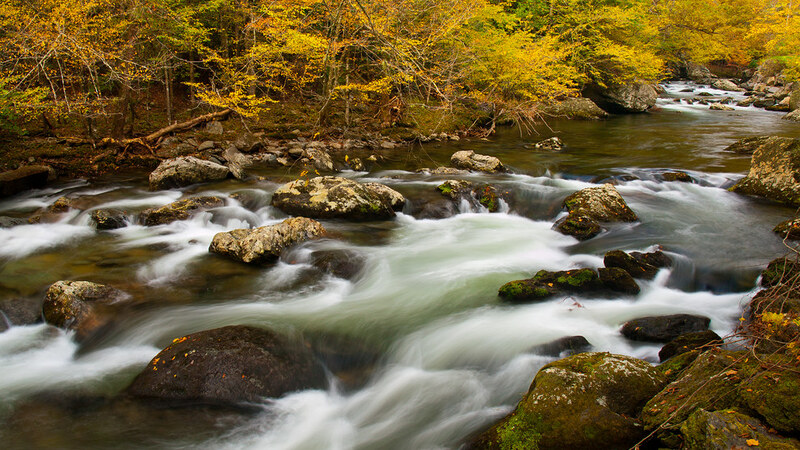 This is the incredibly scenic Little River, the last shot in our series from the Smoky Mountains. The stream starts high up on Clingmans Dome, which at 6,643 feet is the tallest peak in the Smokies. The river then drops into the Little River gorge, one of the highlights of the park. The road runs parallel to the stream for awhile, presenting numerous chances to stop and take pictures. I probably stopped every five feet to take pictures here. Luckily my wife is very patient with me.